In the last episode you heard about Japan invading China, occupying French Indochina, and bombing Pearl Harbor. 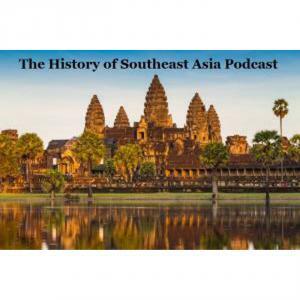 Now this episode covers the 1941 Japanese invasion of Thailand, Malaya, and Singapore. Are you ready? 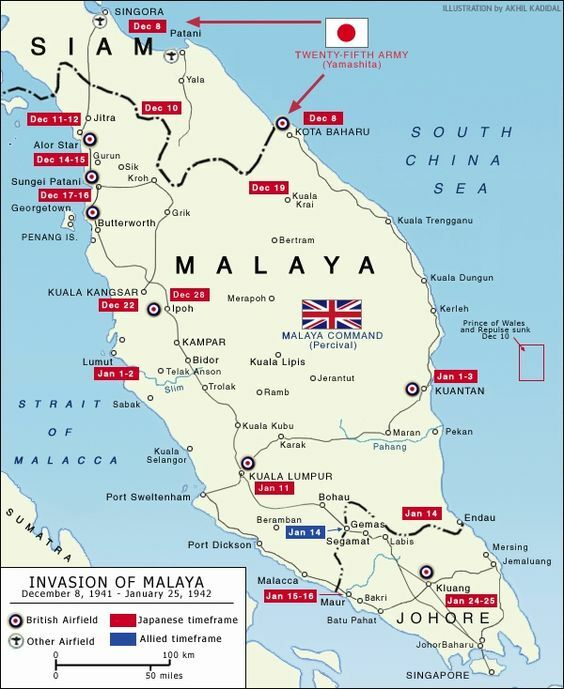 Here is the companion map, showing the campaign in Malaya, December 1941-January 1942. The red dates are the dates when the Japanese conquered specific locations, while the blue date indicates when the British formed a defensive line to protect Johore, the southernmost of Malaya's nine sultanates.